I’m a bit of a cold pansy, I admit it. 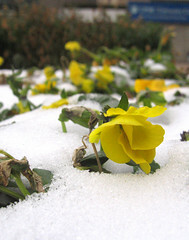 Actually, pansies are tougher than I am in the cold. So when it snows in October, on the weekend of my New River Gorge Climbing and Yoga retreat, you can imagine my distress.